Whew! 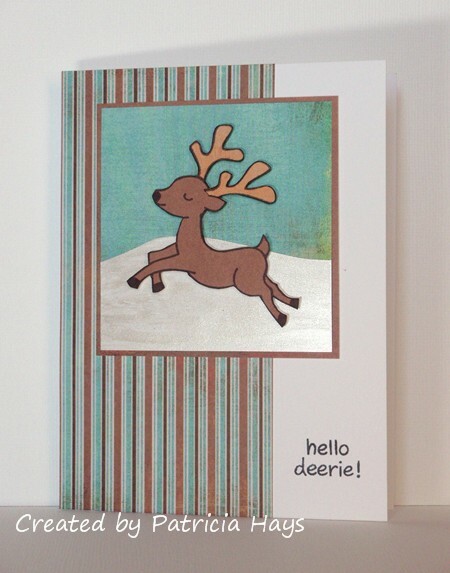 Between World Card Making Day, the Hope You Can Cling To challenges at Splitcoaststampers and trying to beat the Operation Write Home Christmas mailing deadline, October is one busy card making month! Remember, if you’re planning to send Christmas cards to OWH, your shipper needs to receive them by October 31! A while ago I learned that edging a paper pieced item with ink or a marker the same color as the item was stamped with gives the paper piecing a more finished look. Well, I had a little oopsie when I was edging the deer’s feet and got a stray black marker mark on one. So I fixed that by adding black hooves to my little creature. I’m glad that was an easy fix! I colored in the deer’s nose while I was at it, too. Super cute! This is such a perfect card for the upcoming winter season. The deer looks adorable. 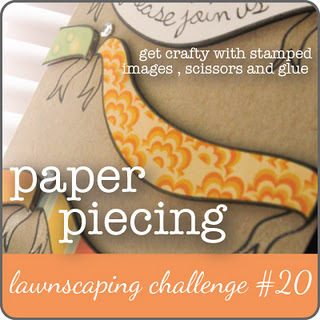 I’m so glad you joined the Lawnscaping challenge!